NEGAUNEE, MI – Lorna J. Hiller, 87, of E. Lincoln St., Negaunee, passed away peacefully Friday afternoon, September 7, 2018 at the Eastwood Nursing Center. Lorna was born March 9, 1931 in Negaunee to George and Irene (Dower) Dompierre. 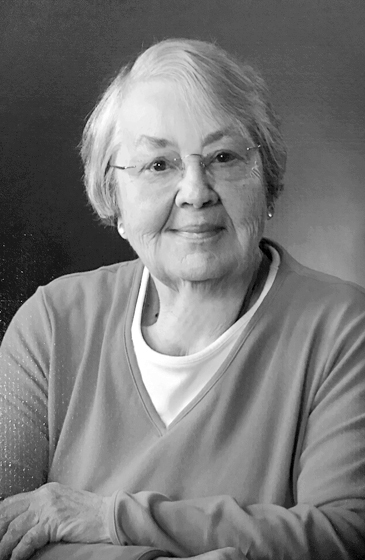 She attended Negaunee Public Schools until the 1st grade, and graduated from St. Paul School, Class of 1949. Lorna worked for 5 years at the Morgan Heights Sanatorium, followed by various other jobs. She retired after 32 years of service from the Ishpeming Steel Corp., where she was a secretary/bookkeeper. Mrs. Hiller was a devout member of St. Paul Catholic Church, Negaunee, where she was previously secretary of the school board and president of the altar society. She also served 17 years as the treasurer of P.A.A.C. and also volunteered numerous years for the St. Vincent DePaul Society in Ishpeming. In her spare time, she enjoyed bowling and pitching horseshoes, knitting, crocheting and reading. Surviving are her daughter, Beth (Jack) Smith of L’Anse; sister, Alice (Marvin) Lummukka of Negaunee; sister-in-law, Gladys Dompierre of Negaunee; nieces: Heather (Pat) Fulsher and Donna (Mike) Dubord; nephews: Peter (Shannon) Dompierre, John Dompierre and Greg (Kara) Lummukka; her best friend, Gloria Saari; many caring friends who kept her in their prayers; and her beloved canine buddy of 15 years, Toby. She was preceded in death by her parents; her husband, Donald Hiller; a brother, Wilfred Dompierre; sister, Darla Dompierre; and numerous aunts and uncles. Lorna’s memorial page may be viewed at koskeyfuneralhome.com, where memories and condolences may be shared.